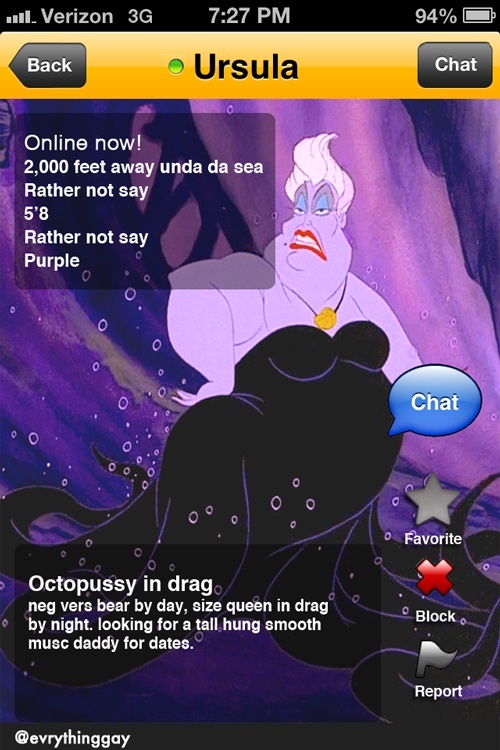 "If Disney Villains Used Grindr"
Gaytorrent.ru Forum > Other topics > Jokes & Funny Stuff > "If Disney Villains Used Grindr"
Thank you, EverythingGay, for making these Grindr profiles for Disney Villians. 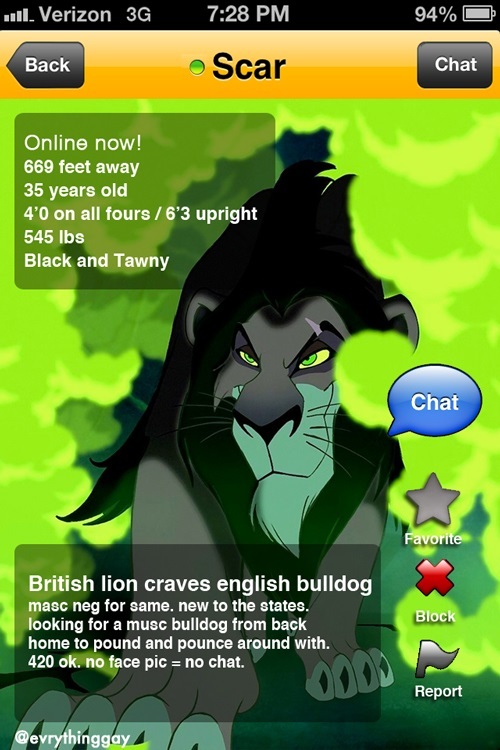 Come on, like Scar didn't use a gay hook-up app on Pride Rock. SHHHHH!!! 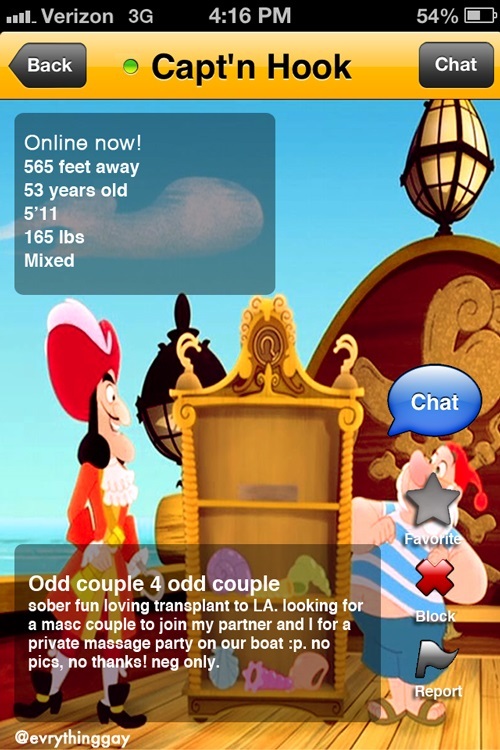 No one call Barbie Please!!! 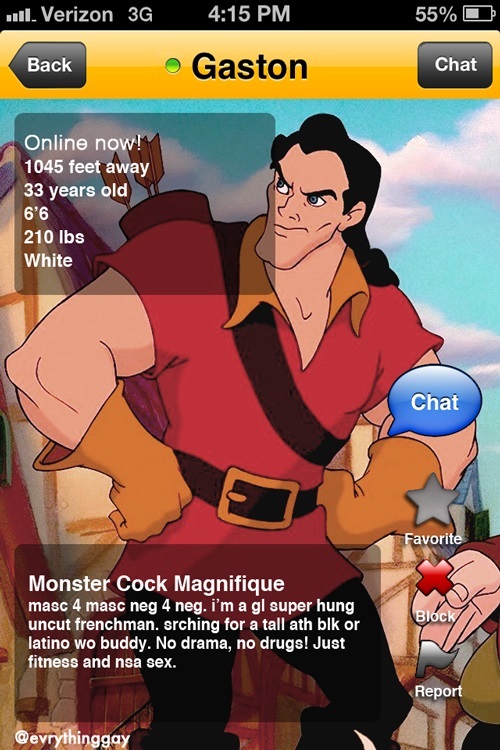 Re: "If Disney Villains Used Grindr"